A vast number of diseases such as cancer, high blood pressure and asthma etc. are caused primarily by mental disturbance, tension and suppressed feelings. Other factors are also involved, but we feel the main cause lies in the mind. Mental tensions reflect in the body. Extreme tension, dissatisfaction or frustration in the mind over a long period of time leads to manifestation of physical malfunction in some form or another, that is, disease. Regular practice of antar mouna brings about a gradual release of pent-up mental tension and suppressed emotions. This in turn leads to more relaxation at a pranic and physical level. That is, relaxation of the mind leads to the removal of blockages in the pranic channels of the body; the flow of prana is allowed to circulate to every part of the body without impediment. There is a progressive removal of chronic muscular tensions. Organs such as the digestive organs are allowed to function more efficiently, unhindered by turmoil in the mind. The endocrinal system begins to function smoothly without being continually overloaded. In this manner, physical and pranic disorders can be gradually alleviated. The whole body finds its lost state of good health and becomes infused with a new level of vitality. There are many benefits to be gained by including the practice of antar mouna as part of your daily life. If you have not yet practised the three previous stages, then we suggest that you start with stage 1. If you have been regularly practising these first three stages, then you can proceed to stage 41. This is an audio book collection all about potential meditation therapy. 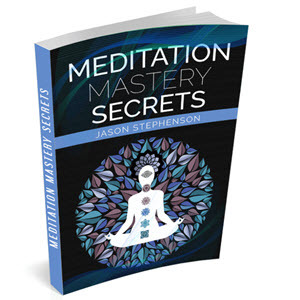 This is a great audio course that will teach you everything meditation therapy.